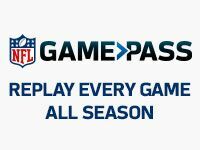 Published: July 28, 2018 at 09:40 a.m.
Sam Darnold's contract situation officially caused the rookie to miss practice with the New York Jets on Friday. Coach Todd Bowles clearly wants his top draft pick in the building but shrugged off the quarterback's absence. "Any time you're not here, you lose something," Bowles said. "It's been a day, obviously when he comes in, we'll get him caught up. But right now, I've got 79 other guys to worry about." With the rookie wage scale, contract disputes for first-year players have all but dissipated. The few areas where agents have some haggling power is over cash flow and offsets. Many teams -- the Jets included -- insist on offsets in rookie deals, which prevent a player from "double dipping" in the event he is cut before the end of the contract. However, as NFL Network Insider Ian Rapoport reported Saturday, contract harmony between Darnold and the Jets isn't teetering upon offset language in the contract. "This is not about offset language for Sam Darnold, it is not about bonus allocation, and obviously it's not about money since those are fixed," Rapoport said on Inside Training Camp Live. "My understanding is it's a language issue relating to his guarantees and how and when they would void. This is something that his agency is fighting for, and the Jets, at this point, they have not come together. So Sam Darnold will continue to stay away until this issue is handled." Bowles didn't sound frustrated yet that Darnold isn't signed, noting that sometimes contract disputes are part of the business of football. "I've played, I've coached, I've scouted. It's part of the business," Bowles said. "It's just another day in the office. There's no animosity there, it's just the business part. When he comes in, we'll get him caught up to speed and get him ready to go." For Darnold, each practice missed lessens the chance the No. 3 overall pick will win the starting gig over Josh McCown and Teddy Bridgewater. "Right now, we're just coaching the 79 other guys," Bowles echoed. "I'm not frustrated, I'm a coach. People get hurt, people go down, people get suspended and contract situations. That has nothing to do with the team. I'm worried about the team. "We've got two other quarterbacks, they can play too. So if he came and got hurt on the first day, we'd have to play everybody else, so we'll treat it just as that and we'll move on."